We have a small parking lot next to the building. Other than that we have street parking available. There are no parking meters. Located on Frankfort Avenue's restaurant row in the historic Clifton neighborhood, we offer more than 130 bourbons, as well as a selection of antique expression whiskies that you won't find anywhere else. Bourbons features upscale dining in an elegant but casual atmosphere and a bourbon-inspired seasonal menu graced by southern inspired cuisine. We went for Easter brunch around noon with a reservation. Our table was ready on time and there were a fair amount of people there but it was not overly crowded. The food selection was underwhelming and somewhat basic. Flank steak and shrimp and grits were the only two entree type food to choose from. The rest was basic breakfast food including scrambled eggs, bacon, sausage and pancakes. There weren’t any breakfast pastries. Our server made a few appearances but actually left our few dirty plates on the table. I finally had to ask her to take them. My biggest gripe is being charged $10 for a small mimosa. $10. It was certainly nothing special or grand in size to warrant that price. It just seems like such a ripoff especially when other popular brunch places around town charge $1 or $2. All in all nothing special for a holiday brunch and we would never go back. The Easter brunch buffet was wonderful! 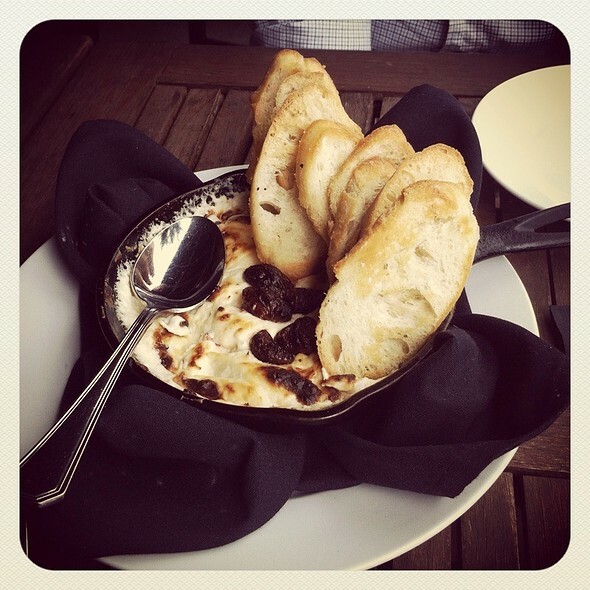 We were really impressed with the food and the service we received. Great dinner! Food was delicious. Chef and staff are friendly. Overall great service. 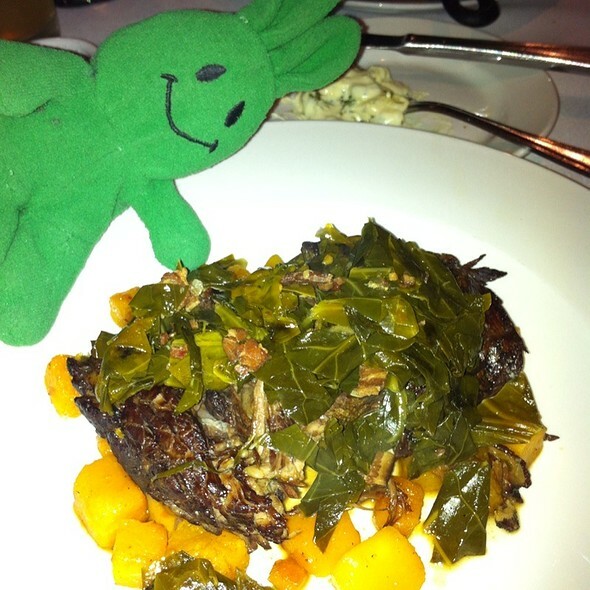 Enjoyed our experience at Bourbon Bistro. Only comment was the music was a little too loud. otherwise the atmosphere, service and meal were excellent. 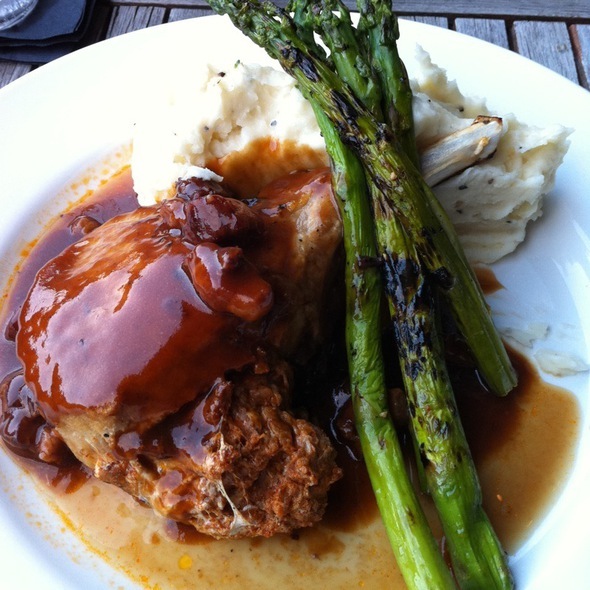 Loved Bourbons Bistro. Good specialty drink selection.. tried something new Paper Plane. There were a lot of good sounding menu choices to choose from. The waitress was able to make great recommendations. The ambiance of the restaurant was quaint. It was not super busy when we were there (6:30) so the section was not really full, so the sound level was great for conversation. Highly recommend giving it a try. 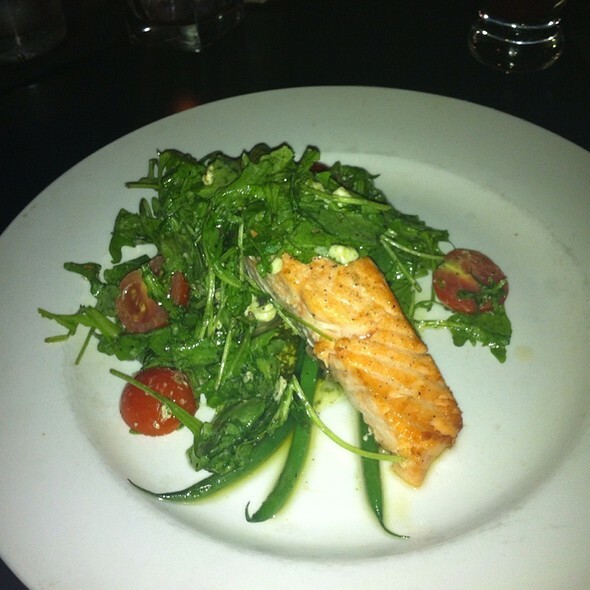 I had the Salmon and it had some of best flavor of Salmon I have had. Cooked perfectly, nice and moist, excellent! We had great service, the food was pretty good. There were 5 of us on a post business meeting dinner. Food was excellent w variety for everyone. Waitress was attentive while being unobtrusive. We had a drink in the bar prior to being seated and can’t say enough on how great bartendersMike and Emma were. We did apps x3, mains x5(burger, pork chop,2 filets and shrimp/grits) and 2 desserts. Everything was excellent. Everyone agreed one of our favorite restaurants! A group of 7 people, and everyone was very pleased with their meals, service, atmosphere, and all. Highly recommended! Great restaurant for a dinner date or nice meal. Good bourbon selection and excellent food choices. I did a “build your own flight.” The Wagyu burger and salmon were excellent options. We will definitely go back. The food was excellent, as well as the drinks. Service was also superior. Great place to dine and relax! 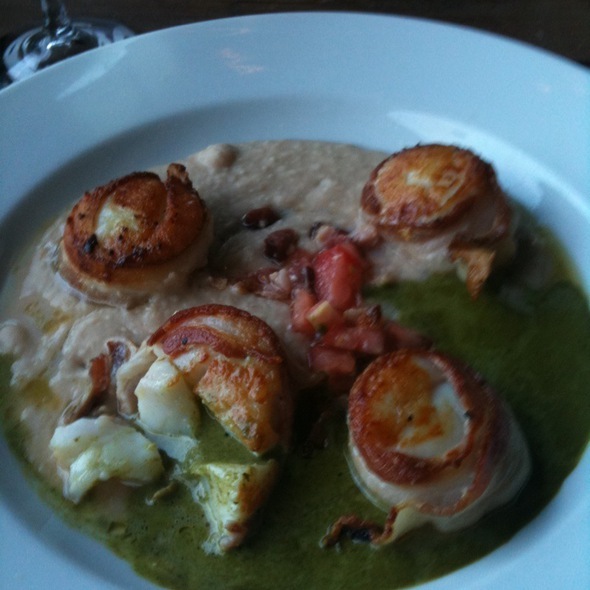 My husband and I dined at Bourbon Bistro on Sunday. The server (Michael) was great.. very attentive, the food was most delicious, and the ambience was very nice. I like to dine at quiet places.. although there were a lot of people in the restaurant, the noise level was very very low and I enjoyed that. Thanks for a great evening!!!! We are repeat customers - food is great and in my opinion a great value. And of course they have a great selection of bourbons. We highly recommend the fried oysters, shrimp & grits, salmon, burgers, mussels appetizer, and the maple glazed chicken wings. Service was excellent. We like to eat.drink at the bar as well as in the dining room, about 50/50. Experience is very consistent, we've never been disappointed. When the weather is nice, we enjoy sitting out front at the small tables and enjoying our bourbon. Desirae (spelling?) was training Michael. Both were excellent and balanced being conversational with allowing us our privacy. 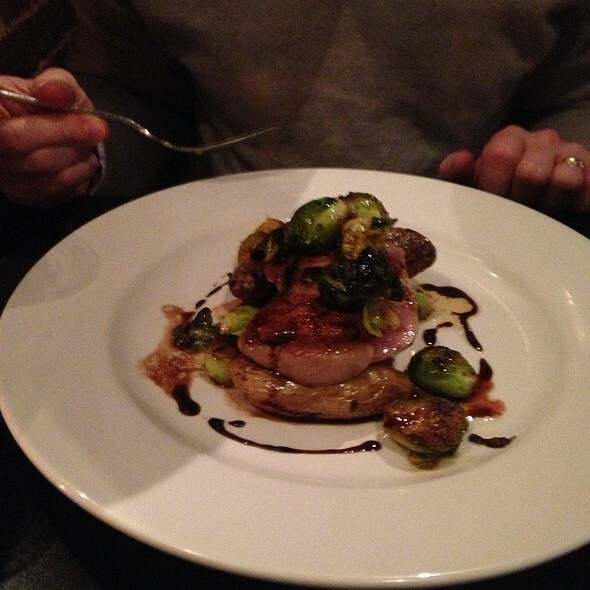 Chef Sam made recommendations that exceeded our expectations! We will definitely be back, hopefully with a larger group! Fine food and friendly service for a first trip to the Bourbon Trail. Pork Chop was first rate. Tuna Tacos were good. Nice historic pictures grace the walls of area bourbon history. Will return. Haven’t been to Bourbons Bistro in years. Nothing had changed....still perfect. The meal was good and the food well prepared. The table was so dark that we had to use our phones to see the menu. The air was smoky with what smelled like blackening seasoning. The server dumped a full glass of red wine on one of my friends at the table, mumbled an apology as she got her a few more napkins and that was it. No moving our party to another table, no changing the wet, wine stained tablecloth, no offer to comp a glass of wine, nothing. Just a few more cloth napkins. My friend’s pants were literally soaked in Cabernet and there was never any mention of it again. They were busy, and we didn’t think it was worth calling attention to it at the moment, given the overwhelmed look on many of the servers’ faces, and number of glass items we kept hearing being dropped and breaking. Maybe it was an off night, because as mentioned, the food was really good. That said, for what we paid for the meal- drinks, apps and entrees, we expected better service. Usually better service. Seemed to be understaffed but food was good. Had to wait on getting our check. Group of 10 for a business dinner. Great spot! 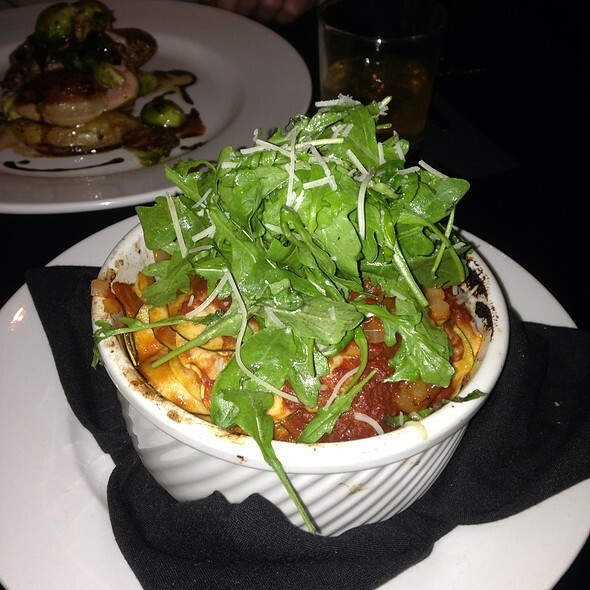 Best upscale dining in town! Always excellent food (especially the steak!) and drinks. Always perfect service. Nice meal in a more laid-back setting. Great for dates or with friends. Staff was very friendly. The food was amazing and I would recommend it to anyone who has not been there yet. Delightful experience. Huge bourbon list and the Rye flight was a big hit. 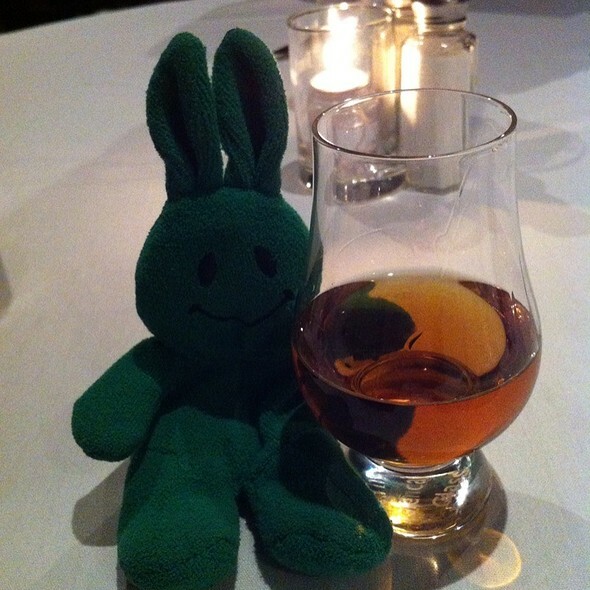 Loved the food and the server was very knowledgeable about bourbons and pairings. I would go again! Our server was very nice. The atmosphere is warm and inviting. It took an unusually long time for us to get our drinks, but we were just happy to be out and on a belated Valentine's Day date so we did not mind. He had the pork chop, which was delicious. Very consistent texture, not fatty at all. I ordered the filet. I told our server that I wanted the filet to be medium but that I was worried if I ordered it medium, it would come out medium well. She suggested I order it med-rare plus so I did. It came out medium well. She was happy to take it back and ask the kitchen to prepare another steak. When she brought it out, it was medium rare so I took a couple of bites but did not eat the rest. I was surprised that she did not take anything off the check. I did not expect the cost of the steak to be removed, but I would have expected that perhaps one of our drinks would have been removed. She was very nice, but overall I was disappointed. Would so recommend this place to someone. Very nice atmosphere, and a great bourbon menu! Service was wonderful. Food was amazing. Drinks were strong. Will absolutely be back. The restaurant ran out of the steak for their dinner special. I understand it was Valentine’s Day and they were very busy but it took a long time to get our food. Minus the child next to our table consistently trying to hit me, the overall experience was good. Limited menu for Valentine's was to be expected. Food was quick and hot. Service was phenomenal. The service and food were great. We went on Valentine’s Day and some of the normal menu was not offered. I had the pork chops and they were tender and juicy. The drinks were great. The food and service were both OUTSTANDING! We will absolutely be returning to Bourbons Bistro. Food and drink selections were good. Noise level was extremely loud. Service was exceptional. Very good food and atmosphere. Reasonable prices. Good selection of bourbon. Staff was very gracious and accommodating and the food was outstanding!! Signature cocktails were good. Tables are a bit small and chairs could be a bit more comfortable. Note: Happy Hour discounts are generally available only at the bar, but they are a great deal. We'll be back for a long Happy Hour! Bourbon's Bistro is one of our favorite places to take out-of-town visitors to -- Kentucky comfort food, a bounty of bourbon and really easy ambiance. We had a wonderful time. 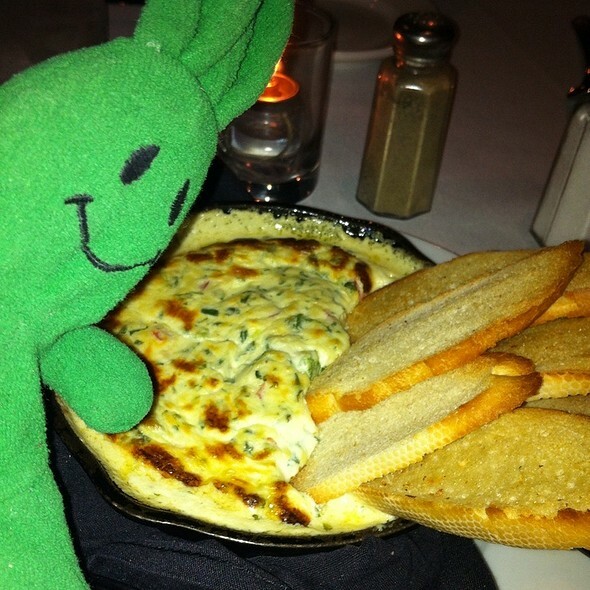 The server was very friendly and made some excellent recommendations that we loved. Delicious meal. Enjoyed the filet and shrimp and grits. Drinks were strong and the mocha cake was amazing. Always love this place. Will keep going back. At 8 pm on New Year’s Eve, our party of four was seated. We had a reservation. Our table was in the back corner, which was fine, as many of the interior tables had been pulled together for multiple large parties. While on NYE, and through no fault of the restaurant, my rating may very well have been 1 star higher except for the noise and the servers having to spend extra time with these larger groups. The food however is excellent! Two of us had the Shrimp & Grits, one had Salmon, and one the Pork Chop. The Ahi Tuna Poke tacos and Garlic and Goat Cheese Spread appetizers were spot on. While we did not indulge in any bourbon, the selection is superb. I will go back on a non-holiday evening, and likely revise my review upward.